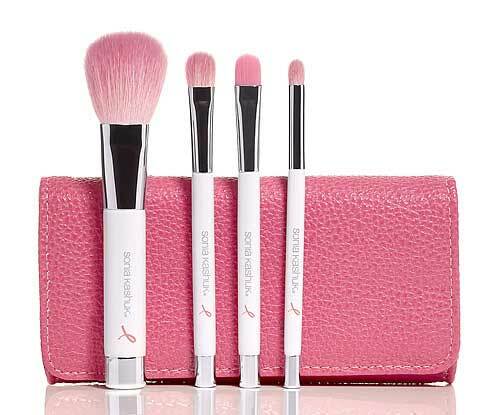 October is still Breast Cancer Awareness Month, and Sonia Kashuk is another one of the companies helping the cause by selling their Proudly Pink Five Piece Brush Set exclusively at Target for $14.99 The set will be available all year round and 15 percent of the proceeds will go to the BCRF foundation. If you're looking to support Breast Cancer Awareness, this is your best bet, not only because it's a gorgeous little set, makes an amazing gift but it also is reasonably priced. The entire set sells at Target and is super affordable at $14. So make sure you purchase it and donate to a great cause!